"£1.5BN? We've already spent £13BN and you don't have to wait"
Virgin Media has responded to BT's announcement that they will spend £1.5 billion on a fibre optic network by pointing out that its own current network has cost upwards of £13 billion and is available already. BT are looking to super-fast broadband, which is why it has turned to fibre optic technology over its current copper wire network. However, Virgin Media has pointed out that it already has a 'nationwide network' of fibre optic cable that, from the end of this year and rolling into mid 2009, will give access to 50Mbps rates across the UK. 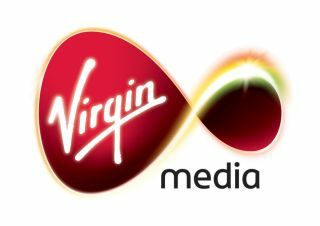 "We've long believed that super-fast broadband is what people want and we're not surprised some of our competitors are now trying to play catch up," said James Kydd, MD of Marketing and Brand at Virgin Media. "We've already invested £13 billion in a fibre-optic network and the launch of our 50Mb product later this year will mean 12 million UK consumers won't have to wait to get access to next generation broadband. "Our 50Mb trialists have already experienced the power of super-fast broadband and we're excited that we will soon be able to offer this to millions of UK homes." BT is looking at speeds of 100Mbps, although this seems likely to be in bursts with much lower sustainable rates.